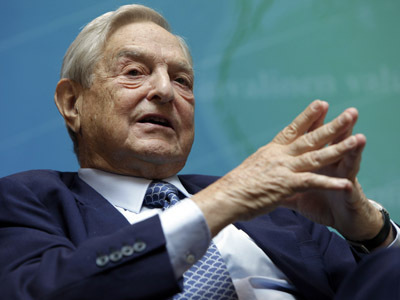 Germany should leave the eurozone if it is not ready to step up and “lead” the union, financier George Soros said. His comment comes days before by Germany's constitutional court will take the crucial decision on the eurozone's bailout fund. 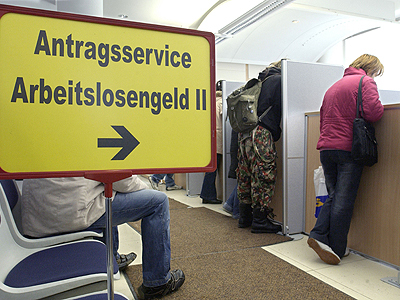 "A German exit would be a disruptive but manageable one-time event, instead of the chaotic and protracted domino effect of one debtor country after another being forced out of the euro by speculation and capital flight," the financier wrote in his analysis, published by the New York review of books. “If the members of the euro cannot live together without pushing their union into a lasting depression, they would be better off separating by mutual consent,” Soros continues. However, he writes, that his preferred scenario is that Germany chooses to behave like a “benevolent hegemon” towards its partners and stays, rather leaves the currency block. But at the same time, he says, whether Germany decides to leave or to stay, either alternative would be better than to persist on the current course. In his lengthy essay on the “tragedy” of Europe, Soros looks to the past, saying that from the very beginning “euro was an incomplete currency”, because it “had a central bank, but did not have a treasury”. But leaders preferred to turn a blind eye to the problem and only realized that “at the onset of the Greek crisis”, which later spread to deficit countries, and “eventually the very survival of the euro came into question”. “The policies pursued under German leadership will likely hold the euro together for an indefinite period, but not forever,” Soros writes. 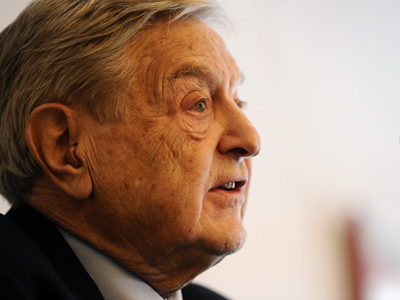 “That is such a dismal prospect that it is time to consider alternatives,” Soros warns. However, if Germany decides to be a “benevolent hegemon,” this may lead the Eurozone from its looming depression. “We can hope Germany, when put to the choice, will choose to exercise benevolent leadership rather than to suffer the losses connected with leaving the euro,” Soros concludes. The essay comes just a few days before the Eurozone's D-day. On Wednesday the panel of eight judges from Germany’s Constitutional Court will pass their judgment on whether the eurozone has a chance of survival. If the judges rule that the European Stability Mechanism (ESM), which was due to start in July, is compliant with the German constitution, the final obstacle will be overcome in establishing a €700 billion bailout fund to support struggling eurozone economies.